Its another Halloween - lets find something that tries so hard to chill the inner workings of our soul and fails on every level. 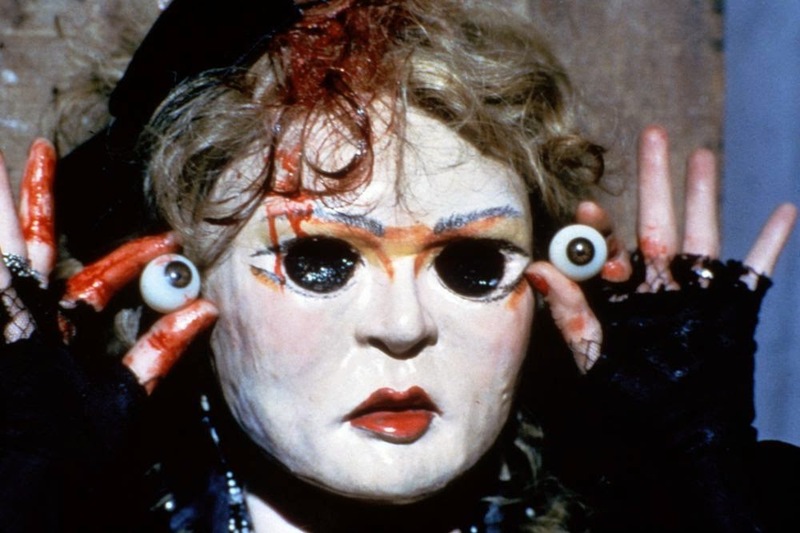 So we're going to talk about the movie Dolls. You should know this movie holds a 63% rating on Rotten Tomatoes. Our story involves six people stranded in a creepy mansion in the middle of nowhere (so far, our story wins originality points). 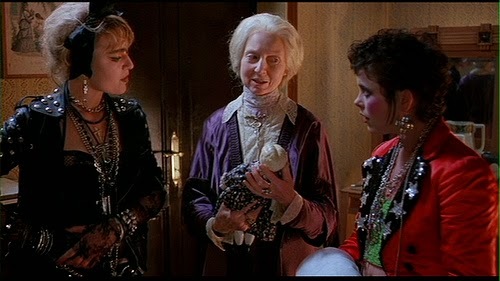 There's a little girl and her love withholding father and mother, and two Madonna clones. 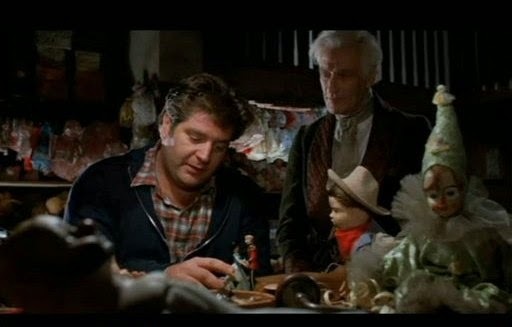 Parents, if your child isn't getting the love and attention they need from home, they will look for it in creepy dolls. Its science. 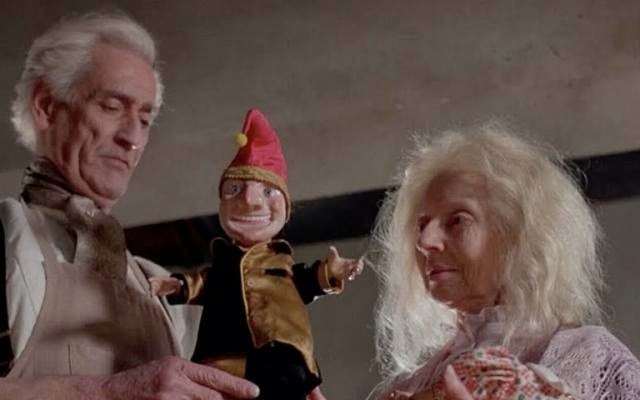 They end up in the quaintly creepy home of an elderly couple who makes dolls and seems a wee bit too attached to them but still the best example of parenting you're going to get in this film. 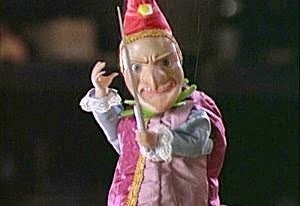 So cruel and uncaring parents have made Judy give up their teddy bear, but Judy gets something waaaaay better - this Punch doll. FACT - Punch dolls are twice as cuddly as teddy bears and kids just can't get enough of Punch's violent tendencies. 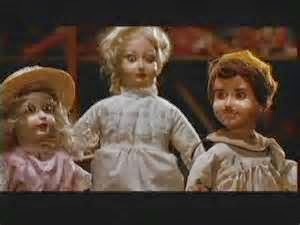 ...and shot by a firing squad, its not a bad idea to have killer dolls as your house security system. Lets see that pitch on Shark Tank. Next up is the cruel mother. The dolls looked for a heart and couldn't find one. So they attacked her post-shower and sent her out the window. Here's where I'm really impressed with these killers. No laziness here - they actually bring the body back (cleaned up the mess) and put it back in the bedroom. Dad runs into the same character flaw that most horror movie characters do. He's unloving and insensitive but incredibly bland. 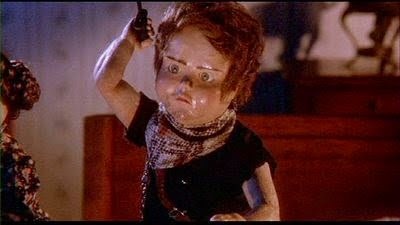 Espescially when it comes to the fact there's a chance homicidal dolls are out for blood. They're also the spirits of others, but whatevs. Shrug it off. As you can imagine, things get a little out of hand. 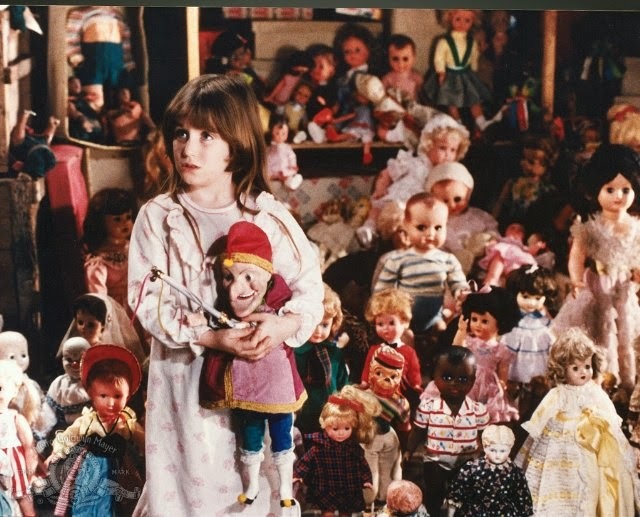 I used to work at a toy store where we had a whole wall full of Madame Alexander dolls. There is no difference between them and what I just watched. Its a very serious lesson and if you're not paying attention you'll miss its subtleness. The kindly old people explain they have guests over all the time. But they put their guests through a test to see if you respect childhood and are pure of heart - if you fail, you're dismembered by a doll. Sort of like Willy Wonka's less socially acceptable brother. 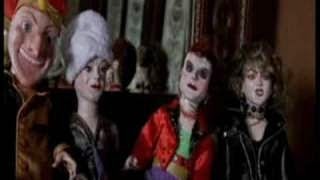 And we end with another group of terrible people coming to stay at the Doll house ignoring, what I'm assuming is its many negative Yelp reviews.